MOSCOW, February 15. /TASS/. The Kremlin strongly rejects groundless accusations of Russia being behind the NotPetya cyber attack on Ukraine in June 2017, Russian Presidential Spokesman Dmitry Peskov told reporters. 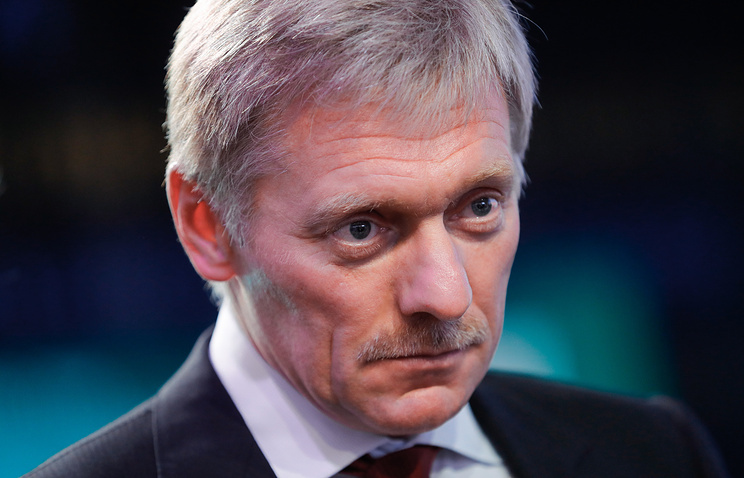 "We strongly reject such accusations, we consider them to be groundless, they are part of the similarly groundless campaign based on hatred against Russia," Peskov said commenting on a statement made by British Foreign Office Minister for Cyber Security Tariq Ahmad, in which he had attributed the NotPetya cyber attack to the Russian government. "The UK Government judges that the Russian Government, specifically the Russian military, was responsible for the destructive NotPetya cyber-attack of June 2017," Ahmad said, adding that the cyber attack "disrupted organizations across Europe costing hundreds of millions of pounds." In January 2018, the Washington Post said the CIA had "attributed to Russian military hackers a cyberattack that crippled computers in Ukraine last year, an effort to disrupt that country’s financial system amid its ongoing war with separatists loyal to the Kremlin." "The GRU military spy agency [the Main Directorate of the General Staff of the Russian Armed Forces - TASS] created NotPetya, the CIA concluded with ‘high confidence…’ according to classified reports cited by US intelligence officials," the newspaper added. On June 27, 2017, a ransomware blocking access to data and demanding money for unblocking it attacked dozens of energy, telecom and financial companies in Russia and Ukraine, spreading across the world afterwards. Experts from the Group-IB computer security company said the Petya encrypting ransomware was behind the massive cyber attack. The malware prevented operating systems from loading, blocked computers and demanded a ransom of the Bitcoin equivalent of $300. The Kaspersky Lab later came to the conclusion that the world had faced a new ransomware, naming it NotPetya.